Shop for bargains on designer merchandise and leading brands –including Banana Republic, GUESS, Calvin Klein and DKNY– at Wrentham Village, one of the most popular designer malls in New England. Skip the hassle of driving and enjoy round-trip transport from downtown Boston on a luxury coach. Your high-end shopping tour includes a complimentary VIP coupon book, good for even more discounts! 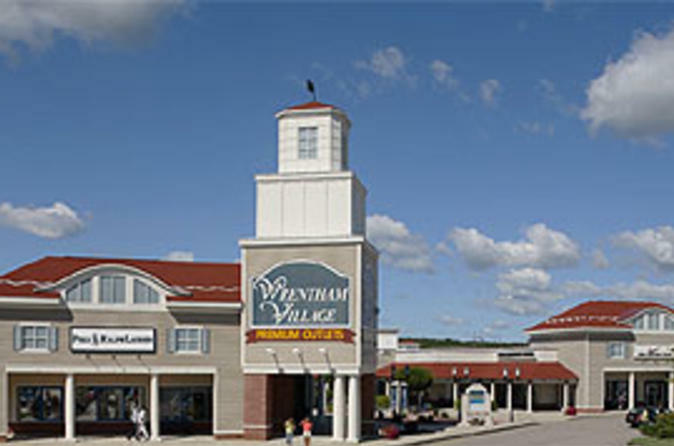 After boarding your luxury coach in downtown Boston, you’ll get to relax as you travel approximately 45 minutes to Wrentham Village Premium Outlets. Upon arrival, grab your VIP coupon book and get ready for a superb shopping experience! You’ll have more than 170 stores to choose from – with steep discounts on brand name clothing, shoes, jewelry, accessories, housewares, electronics and more. Get great deals on a variety of high-end merchandise as you spend the day at this popular New England mall. When you’re ready for a break, grab a bite to eat at one of the mall’s many restaurants (own expense). You can also stroll in the pleasant outdoor setting before tackling the next shop on your list! After approximately 5 hours of shopping, board the luxury bus and enjoy a relaxing ride back to Boston.